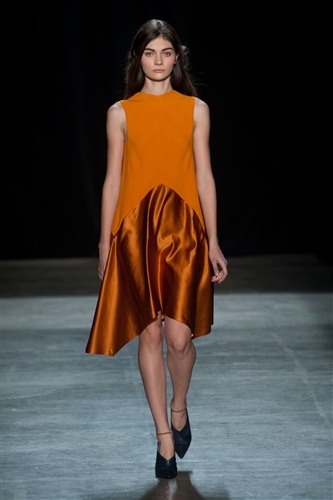 It was all about the colour and shape at the Narciso Rodriguez fall show. 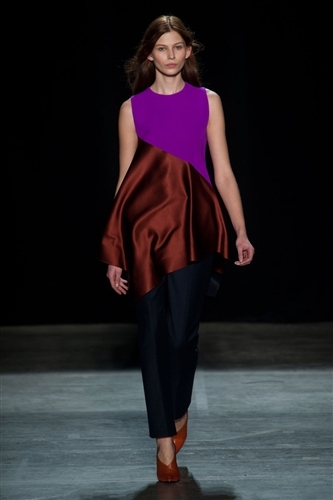 The designer produced immaculately cut pieces in varying colour blocks with some unlikely compositions. 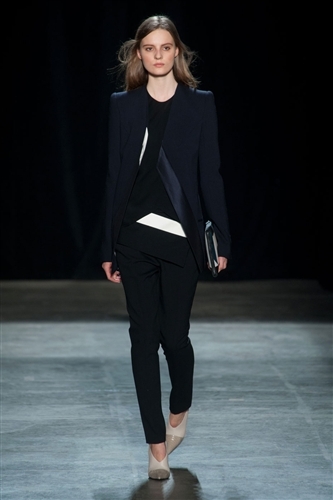 Structured jackets with sharp hemlines were worn with perfect fit trousers – not too tight or too wide, just right. Dresses were fitted at the torso and flowed in different lengths. Supposed floor length gowns with visuals of leg from the front brought about nods of approval for the simple style. 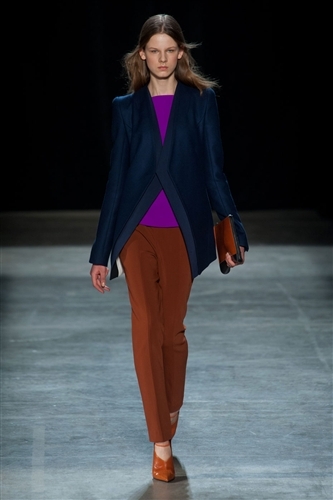 Mixing burgundy silk with violet and dark navy with copper resulted in a successful outcome of autumnal colour blends. 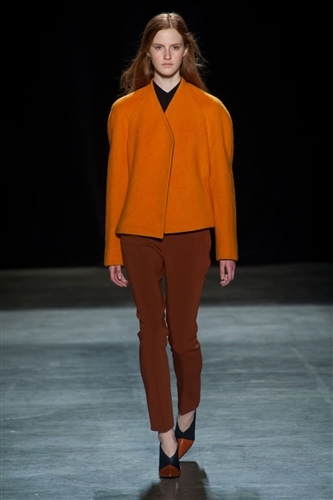 The Rodriguez tailoring was appraised in this collection with angluar pointed lines for necklines, jacket lapels and dress hems. 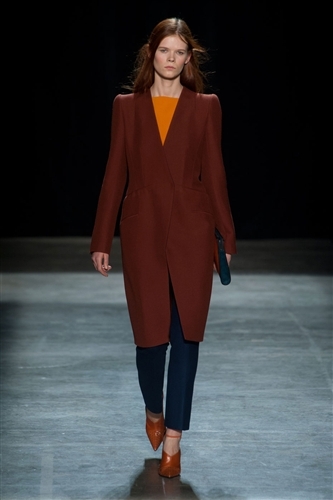 Every piece was wearable and ideally flattering with a range of formal trouser suits to delicate slip dresses. 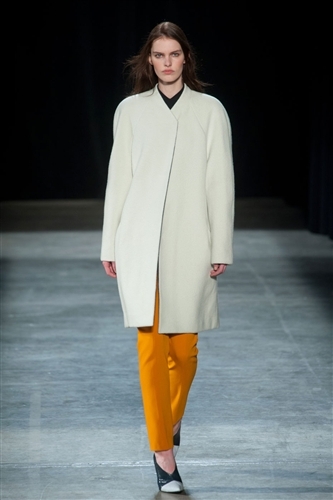 A classic, clean and simplistic Narciso Rodriguez array that subtly made its own outstanding impact.